Easter Seals Michigan serves and supports people with disabilities or special needs and their families so they can successfully live, learn, work and play in their communities. 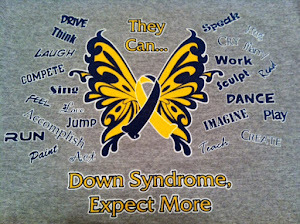 CADSA was created by parents of children with Down syndrome as a support system. Our organization offers emotional support to people with Ds and their families, and provides assistance and guidance in several areas. The mission of the Down Syndrome Association is to provide support, resources and advocacy with the aim of increasing awareness and opportunities for individuals with Down syndrome, their families and caregivers. The Down Syndrome Guild of Southeast Michigan (DSG) is a non-profit parent led, community based support network designed to strengthen, empower and inform families and communities about people with Down syndrome. The Down Syndrome Support Team of Washtenaw County, MI is a group of parents with their children that meet monthly, share experiences, ideas, work together to offer our children great opportunities, build friendships, and so much more. If you have a child with Down Syndrome and would like to talk to someone or come and meet other parents and children in your area, please contact us. We would love to hear from you. SPIDER is a group of concerned family and friends that have been brought together by one common denominator, all of us are blessed with having a child with Down Syndrome in our lives. Most of us were not prepared for the sudden and often drastic changes in our lives that occur, when a "Special Needs Child," comes into our life. One universal concern has been the lack of adequate information and services that are immediately available to assist our families. There are many questions in the first few hours and weeks of our child's life that need to be addressed, such as medical, physiological and emotional. We are here to answer these questions and to make available any resources to our families. This will insure that our children have the greatest advantages from the beginning and throughout their lives.